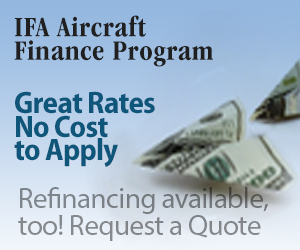 The IFA Aircraft Finance Program is offered through a leading aircraft financing company that specializes in financing for general aviation and business aircraft nationwide. The program provides fast, easy and competitive financing and refinancing for new and used aircraft, from single engine pistons to twins and light jets, including Light Sport Aircraft, from $54,000 up to over $5 million in value. 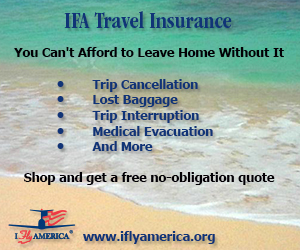 Learn more and receive a no-obligation quote! "Are there any good rules of thumb to estimate the height of the cloud bases?" - Larry J. "Many pilots that know me are well aware that I am not a fan of rules of thumb with respect to weather. Largely this is because they don't work in many circumstances. However, one of the rules of thumb that tends to work pretty well for estimating the base of the lowest cloud deck is derived from the temperature and dewpoint temperature at the surface. Click here to continue reading the answer. Aviation is an activity of numbers — airspeed, altitude, flight legs, minutes, and so on. Some of these a pilot needs to know, some are just interesting facts about flying. Try yourself on these. Caution — they are not all easy. 1. How many different tests does the FAA give for various licenses, ratings, and activities? 2. How many questions are there in the longest test: Military Competency Instructor?